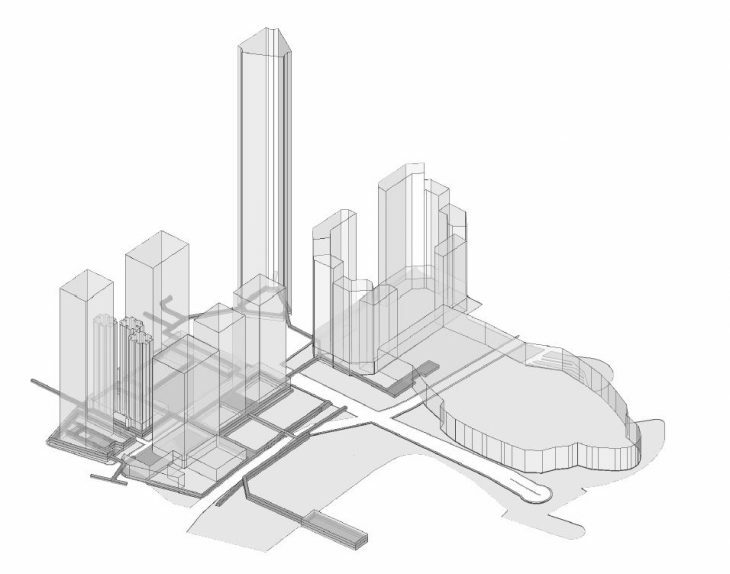 Hong Kong’s unique dynamic of public spaces is explored in this project. 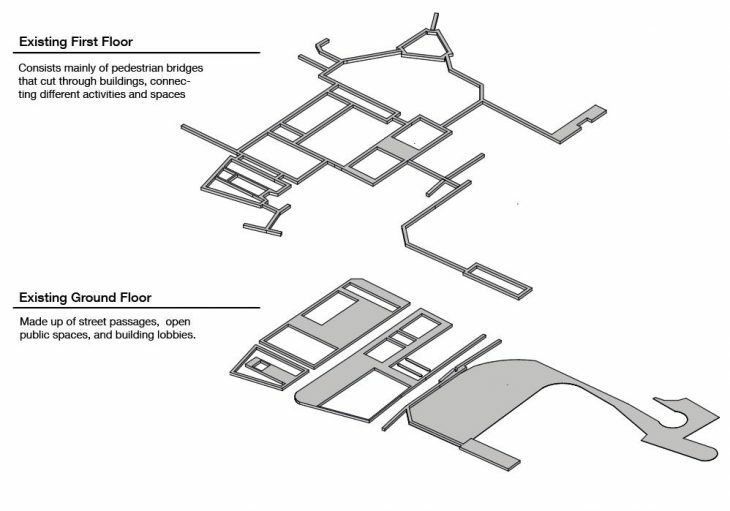 Most public spaces and pedestrian ways are located underground floor and higher levels, and within buildings. The chosen site is located in Wan Chai, Hong Kong, a metropolitan area, in the northern part of the city beside the sea. It consists of commercial , residential, administrative and recreational buildings. It is a great attraction for tourists and also connects different parts of the city through the metro and ferry lines. Exploring positive vs negative spaces. The building is referred to as negative space, while internal public spaces, are positive. In this part of Hong Kong, the positive spaces exist mainly on the ground and first floors as shown below. Hong Kong presently imports about 90% of its food, and is very dependent on surrounding cities for survival. 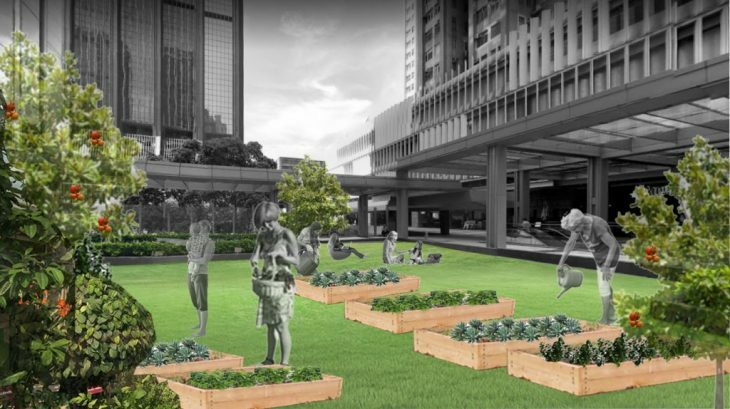 By activating spaces for food production, research and distribution,, how would the perception and experience of food change in the city? 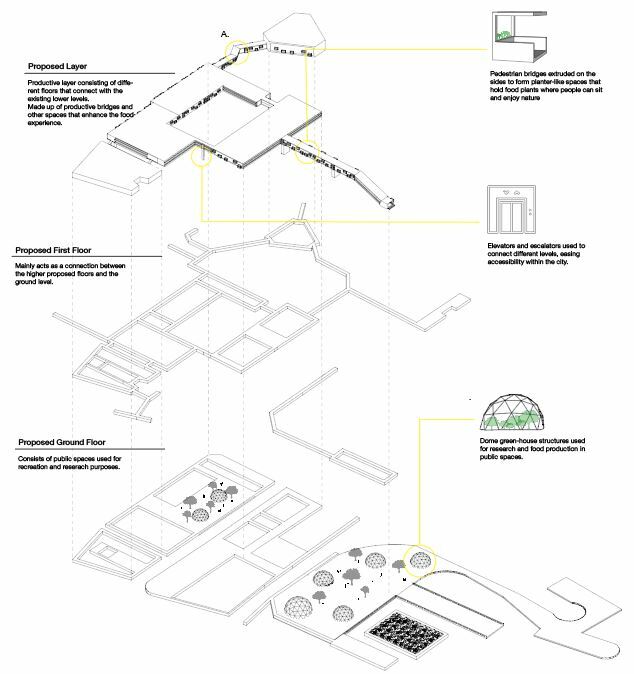 This project proposes to extend the positive space unto higher floors, and connect it to the existing public space in order to activate productivity in the city. 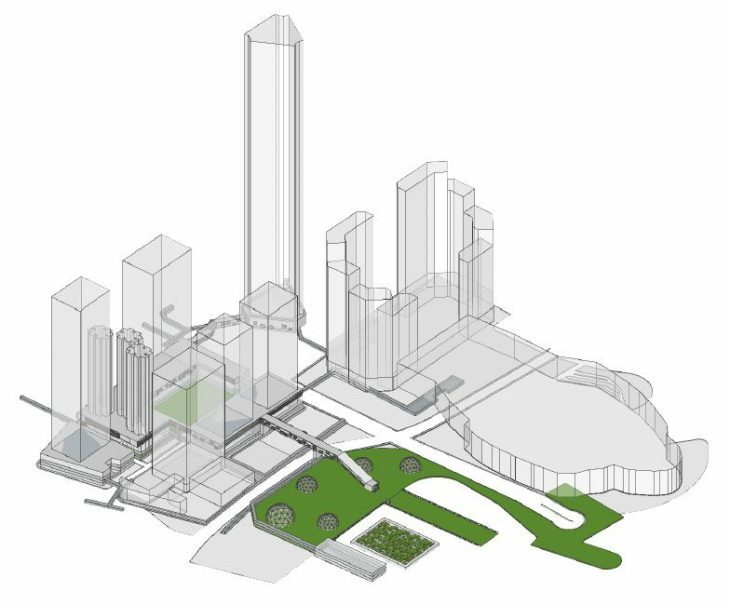 It sips into different parts of the city, integrated into a variety of activities and experiences. A major aspect of the project is the connection of the neighbourhood to the adjacent water body. Currently used for transport to other parts of Hong Kong, the sea could become a means for food research and recreation through aquaponics and hydroponics. Three major layers are identified in the 1st phase of the development. 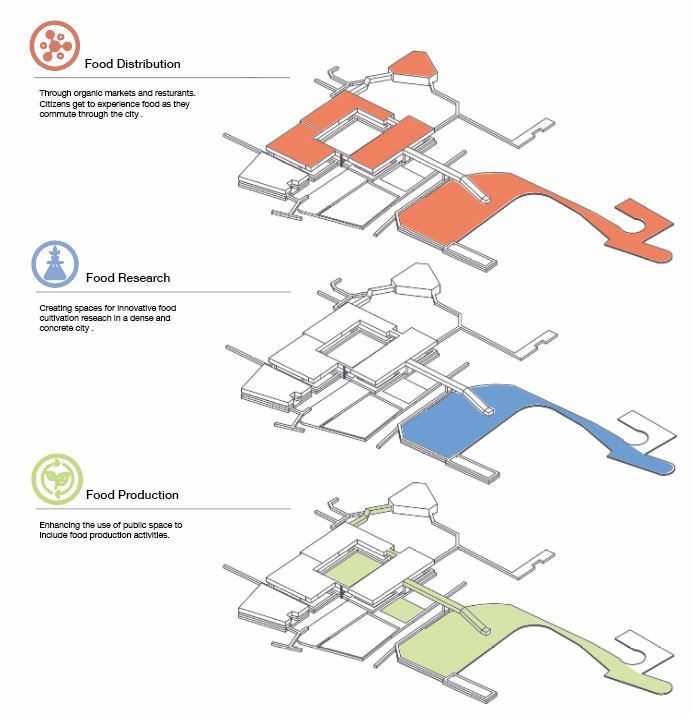 The ground layer consisting of food parks and research areas, the first floor acting as a connection to the ground and becomes part of the higher floor levels. 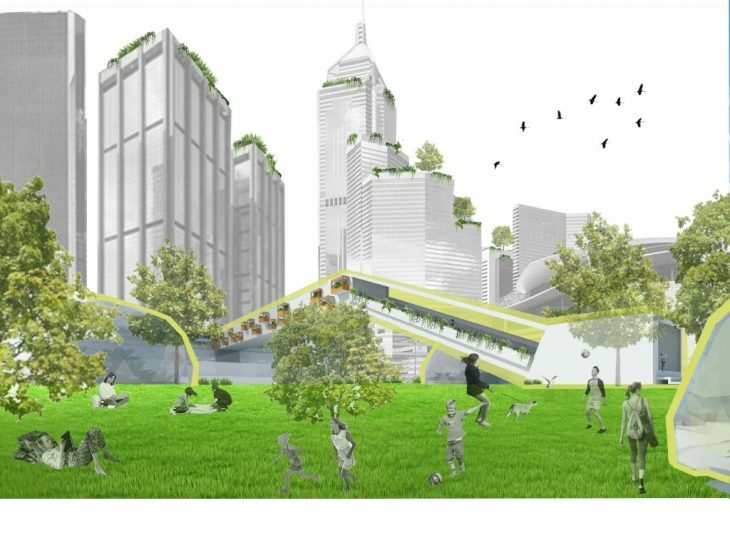 Pedestrian food bridges, and activity areas that involve the use of organic food such as food markets and restaurants are located across the proposed layers.